Jean Margaret (Peggy) Wemyss was born in Neepawa, Manitoba, on July 18, 1926, to Robert Harrison Wemyss, a lawyer, and his wife Verna Jean, née Simpson. Verna died when Peggy was four years old, and Robert later married Verna’s sister, Margaret Campbell Simpson, a teacher and later a librarian, who was throughout the years one of Peggy’s “greatest encouragers.” After Robert Wemyss’s death, when Peggy was 9 and her brother still a baby, the family went to live with Grandfather Simpson in his big brick house on First Avenue. 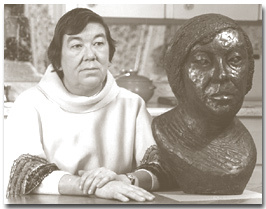 Margaret Laurence with a bust made of her by sculptor Almuth Lutkenhaus-Lackey and donated to the National Library of Canada in 1997. After graduating from high school in 1944, Margaret attended United College (now the University of Winnipeg), and was assistant editor of the college paper, Vox. Jean Margaret Wemyss graduated from United College with a Bachelor of Arts degree in 1947 and married John Fergus Laurence on September 13, 1947, in the Neepawa United Church. She then worked for a time as a reporter for the Winnipeg Citizen. In 1950, after living for a year in England, Margaret and her husband, a civil engineer, moved to British Somaliland. While there, she wrote a translation of a Somali book of prose and poetry, A Tree for Poverty. Mrs. Laurence said that it was at that time that she “began seriously to write.” A travel book, The Prophet’s Camel Bell, written some years later, describes the Laurences’ experience in Somaliland. They moved to Accra, Ghana in 1952, with their 2-month-old daughter, Jocelyn, who was born in England. During their subsequent 5 years in Africa, Margaret produced her first novel, This Side Jordan, which won the 1961 Beta Sigma Phi Award for the best first novel by a Canadian. 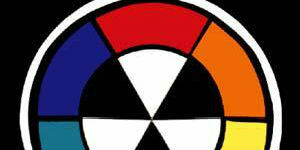 A collection of short stories, The Tomorrow Tamer, written a few years later, is also set in West Africa. Out of her African years came an interest in contemporary literature by Africans, which resulted in her study of Nigerian fiction and drama, Long Drums and Cannons. The Laurences’ son, David, was born in Ghana in 1955. After leaving Africa, the family lived for five years in Vancouver, and during this time, Margaret wrote The Christmas Birthday Story, a children’s book later rewritten. A Jest of God (1966), for which she received the 1967 Governor General’s Award, and which was the basis for a movie entitled “Rachel, Rachel,” starring Joanne Woodward. The Diviners (1974), 1975 Governor General’s Award winner. A collection of essays, Heart of a Stranger, was published in 1976. Mrs. Laurence received honorary degrees from more than a dozen Canadian universities, was made a Companion of the Order of Canada in 1971, and received other numerous other honors. 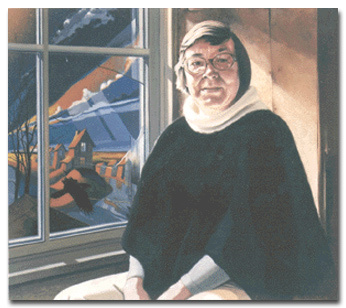 An hour-long documentary film, Margaret Laurence: First Lady of Manawaka was produced by the National Film Board of Canada and premiered in Winnipeg on May 7, 1979. 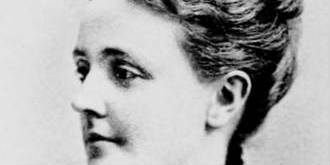 Adaptations of many of her works have been made for radio and television. 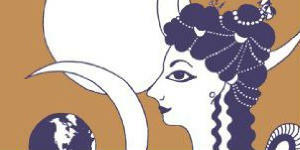 Many of her books have been translated into other languages. She served as Writer in Residence at the Universities of Toronto and Western Ontario, as well as Trent University, where she was appointed Chancellor for the years 1981-1983. 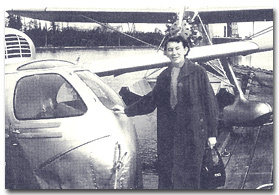 Margaret Laurence with a seaplane in the Canadian backcountry, circa 1959. The last decade of her life focused on promoting causes she passionately supported—peace, social justice, the equality of women, environmental protection—through letters, lectures, essays and fundraising campaigns. 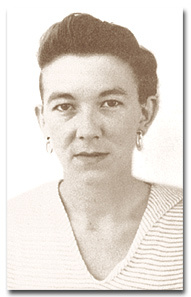 Margaret Laurence died on January 5, 1987, and, at her request, her ashes were brought by her children, Jocelyn and David, to be interred in Riverside Cemetery, Neepawa, on June 23, the day before the official opening of The Margaret Laurence Home, the former Simpson house where she had lived in her youth. — Copyright 1997-2002, First Unitarian Congregation of Ottawa. James King, a biographer and English professor at McMaster University, has worked to reinvent the perception of one of the most important figures in Canadian consciousness. In his new book, The Life of Margaret Laurence, King uses everything from unpublished letters to conversations with friends in order to unmask the real issues that surrounded her life and death and led her to the forefront of the Canadian literary scene. 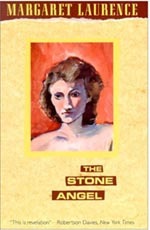 Laurence, one of Canada’s finest female authors, is best known for her novels The Stone Angel, A Jest of God, The Fire-Dwellers, and The Diviners. Throughout her life, Laurence had been lionized by the public and revered by many as a predominant shaper of post-war Canadian literature, setting the pace for other Canadian women like Margaret Atwood and Alice Munro. Posthumously she has been widely honoured with gatherings as well as being featured on a Canadian postage stamp. Although her life has been the subject of countless lectures and literary critiques, both during her life and after her death, King’s biography is the first full-length treatment of her life as one of the most beloved figures in Canada’s cultural history. Since her death on January 5th, 1987, the official understanding, as reported in newspapers, was that she “died of lung cancer in her Lakefield, Ontario home.” The few friends and family members who knew of her death as a suicide, however, kept it a secret. King says the biggest revelation about this book is not about her suicide but about how much she suffered and how insecure she was. “I think it shocks people that someone can be so famous yet so unhappy,” he tells me. A few weeks after King approached Laurence’s children, Jocelyn, 45, and David, 42, with the idea of writing the biography, he was given the green light to set the record straight about the real life of their mother. The only condition was that they be allowed to check over the text to guarantee its accuracy. From the beginning, he knew that there were questions surrounding her having lived for years with cancer and that there existed a “mysterious diary.” Through countless interviews with friends and family—which took him from Vancouver to Penticton to Lakefield—he began to discover someone else behind the public personae of Laurence. The woman King found was a frail and tormented person who struggled to balance her roles as writer, wife, and mother. 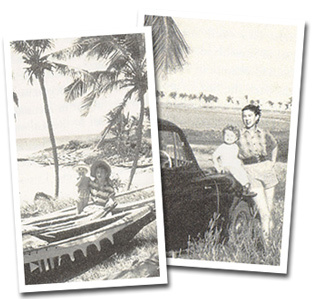 Photographs of Margaret Laurence and her daughter Jocelyn in Ghana, 1955. King effectively uses her letters, her diary and other resources as the maps necessary to re-evaluate the inner landscape that made Laurence such a great writer. Aided by the extensive archive of Laurence’s manuscripts and letters at McMaster University, King proves himself an excellent researcher. While the overall themes of the book are given plenty of support, the relevance of some of the evidence used to illustrate her conflicts does at times seem to be a bit of a stretch. As an experienced biographer, King has explored the lives of notable individuals such as poets William Cowper and William Blake, as well as novelist Virginia Woolf. 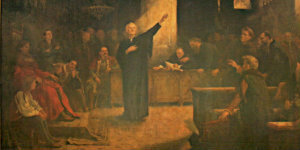 Although Laurence is the first Canadian subject to be featured in one of his biographies (his next project will be about the life of Canadian publisher Jack McClelland), there are many recurrent themes common to his works. 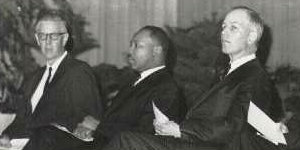 This may be one of the major reasons that King was endorsed by the family to tell the life of Laurence. Their concern, King says, was that they wanted a “biography that would tell about the suicide but that would do it in the context of a full account of her life.” Based on his earlier books, certain themes he used to explore the connection between an artist’s life and their work seemed applicable to Laurence’s life story. 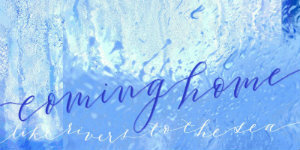 In his biography of Woolf, King also focuses on how her mother’s death marked both her literary and private life. As with Woolf and Cowper, King takes a psychological approach in order to understand the interplay between the life of Laurence and her novels. Orphaned when she was young (her mother died when she was four and her father died when she was nine), she was never able to remove herself from her childhood. 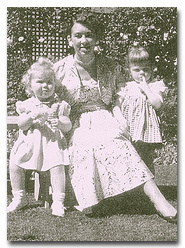 Margaret Laurence with Jocelyn and friend, 1954. The revelations of Laurence’s suicide attempts and the degree of her alcoholism will certainly have an impact on the way Canadians perceive the author. Some people—friends of Laurence mostly—would have preferred this information be suppressed. Fortunately, this was not an option for King. “I couldn’t have created a book which would have either deliberately or intentionally whitewashed that information,” he said.